The 1st AICLL 2018 invited researchers, educators, academicians, stakeholders and other participants of related studies from all over the world to exchange and share knowledge in this prestigious convention. The conference provided an excellent forum for sharing knowledge and research findings among researchers, practitioners, academicians, professionals, and students. Topics of interests covered all theoretical and practical aspects of Language and Literature. 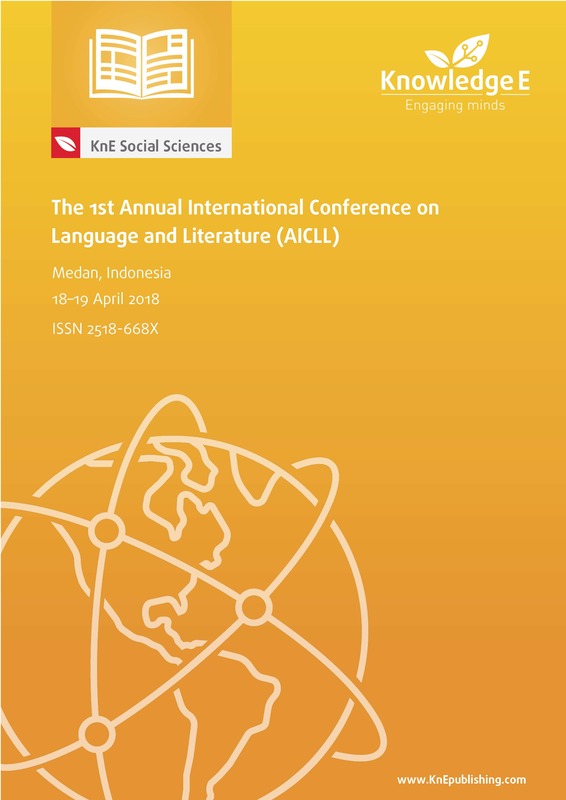 The primary goal of the 1st AICLL 2018 was to promote Language and Literature as Media of Harmony Sustainability, especially of the latest researches and innovations through discussion, exchange and sharing among researchers, practitioners, academicians, professionals, and students. The speakers invited to the conference were Abdur Raheem Kidwai (professor of English Literature at Aligarh Muslim University, India); Mohd. Asaduddin (professor of English Literature at Jamia Millia Islamia, New Delhi, India); Mohd. Nazri Latiff Azmi (associate professor of English Literature at Universiti Sultan Zainal Abidin, Malaysia); Jumino Suhadi (professor of Linguistics at Universitas Islam Sumatera Utara, Indonesia); Burhanuddin Arafah (professor of English Literature at Universitas Hasanuddin, Indonesia); Amrin Saragih (professor of Linguistics at Universitas Negeri Medan, Indonesia); Tengku Sylvana Sinar (professor of Linguistics at Universitas Sumatera Utara, Indonesia); and Efendi Barus (professor of Linguistics at Universitas Islam Sumatera Utara, Indonesia). Indexing: The AICLL 2018 Conference Proceedings are indexed in Web of Science (by Clarivate Analytics, formerly Thomson Reuters and ISI).